Richard Long, River Avon Mud Crescent, 2011, paint and River Avon mud, 27 x 27'. With River Avon Mud Crescent, 2011, Richard Long achieves the unlikely effect of making the twenty-nine-foot-high ground-floor gallery of Sperone Westwater’s young Bowery outpost seem cramped. 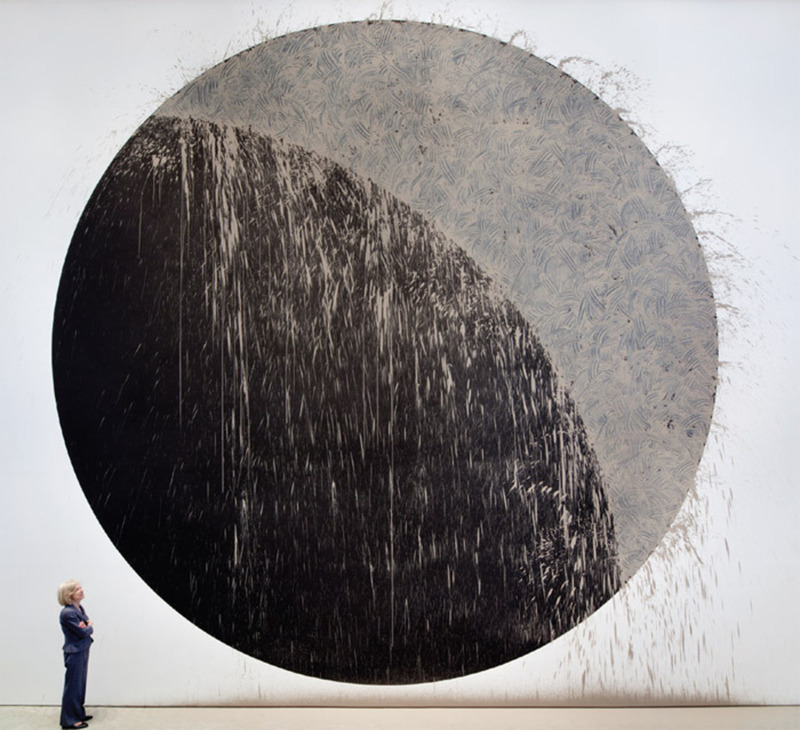 A disc of black acrylic gesso overlain by a waxing moon form created with hand-applied squiggles of mud, the work nearly covers the double-height wall; runoff sludge splatters the floor and ceiling. Even with the perspective afforded by the mezzanine, the view is no less awesomeseeing it was like having a front-row seat at some sort of primitive planetarium. Though this was the most striking instance, Long’s feel for space was everywhere in evidence, with text pieces, photographs, slate works, and sculptures shrewdly ranged throughout four of the building’s eight floors. 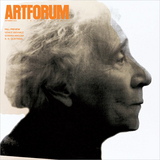 Order the PRINT EDITION of the September 2011 issue for $17 or the ONLINE EDITION for $5.99.